Toddlers need to feel secure an be able to explore their environment through all their senses. Toddlers are learning that they are individuals and practice their independence often. At Cardinal Leger Child Care Centre we encourage toddlers to explore their environment by making it safe and nurturing. As our toddlers learn to communicate and relate to their new found individualism our teachers will enhance the learning process by providing activities that encourage body movement, language acquisition and beginning social development. Our toddler program is set up to allow the children to take an active role in their day-to-day routines. 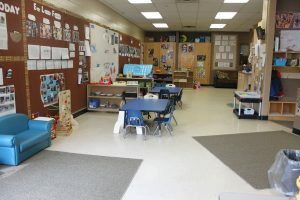 Manipulatives, puzzles, books, and interest centres in the room encourage the children to make choices relevant to their interest and at their individual developmental level.